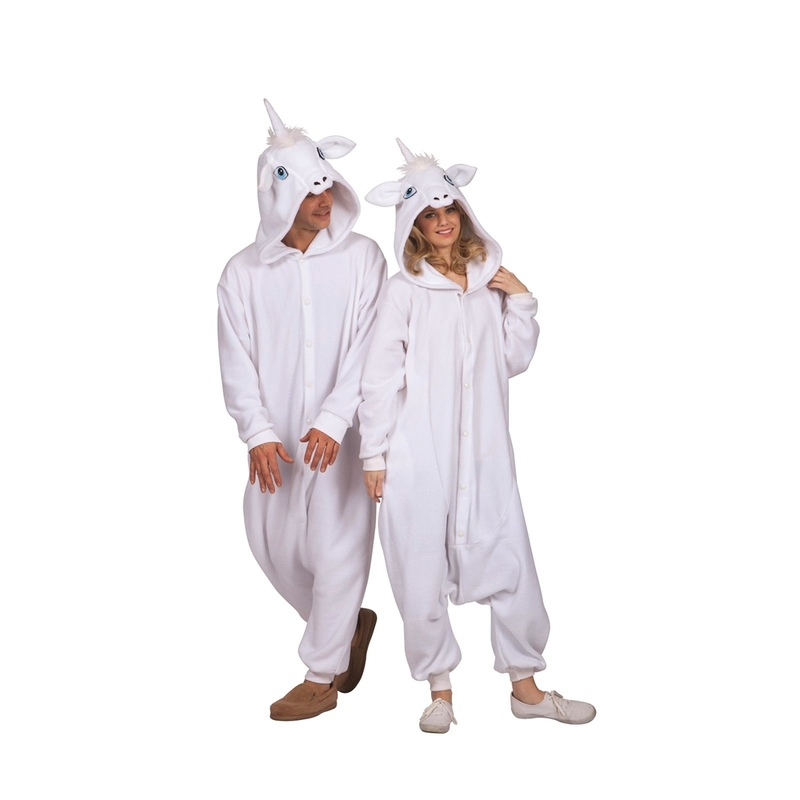 You’ll be pure magic in this Una the Unicorn Adult Unisex Funsie. 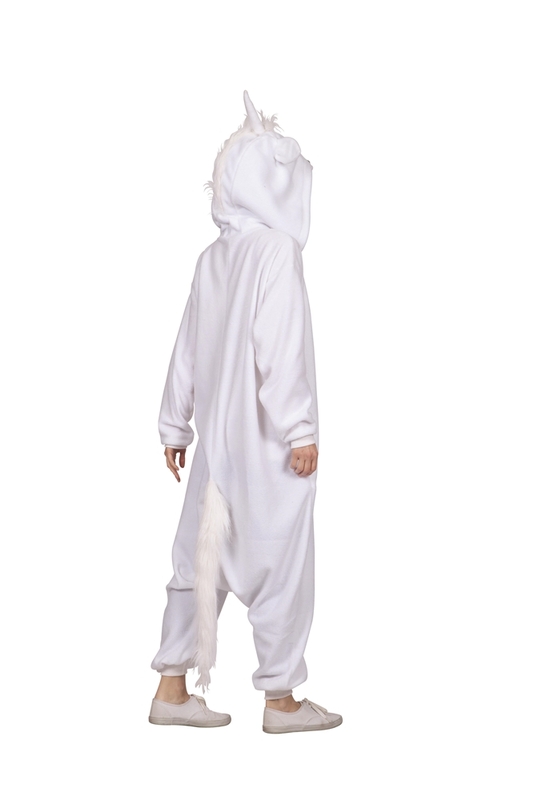 Made of 100% polyester, the adult unisex costume features a unicorn-themed jumpsuit with an attached hood and tail. 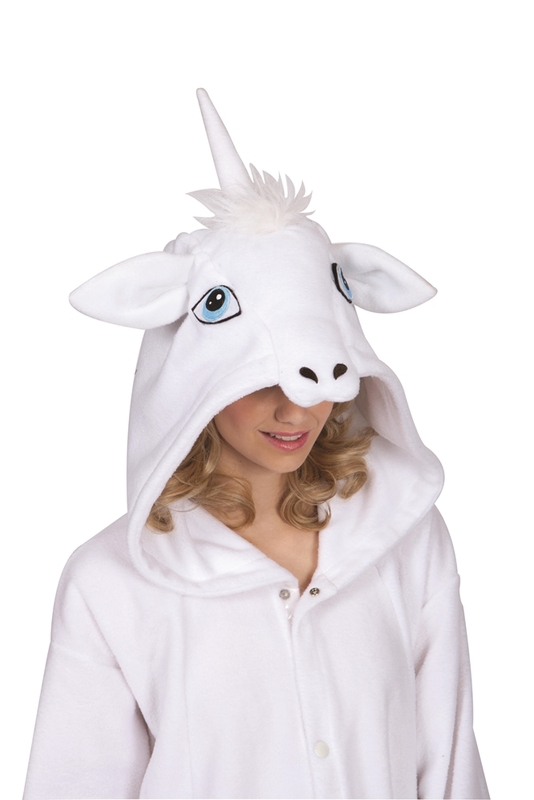 The jumpsuit’s hood is decorated to look like the head of a unicorn. The attached hood features long pointed ears, embroidered blue eyes, a hairy white mane down the center of the head, and is topped with a white unicorn horn. A long hairy white tail is attached on the back. The jumpsuit features a front button-snap closure for easy wearing. 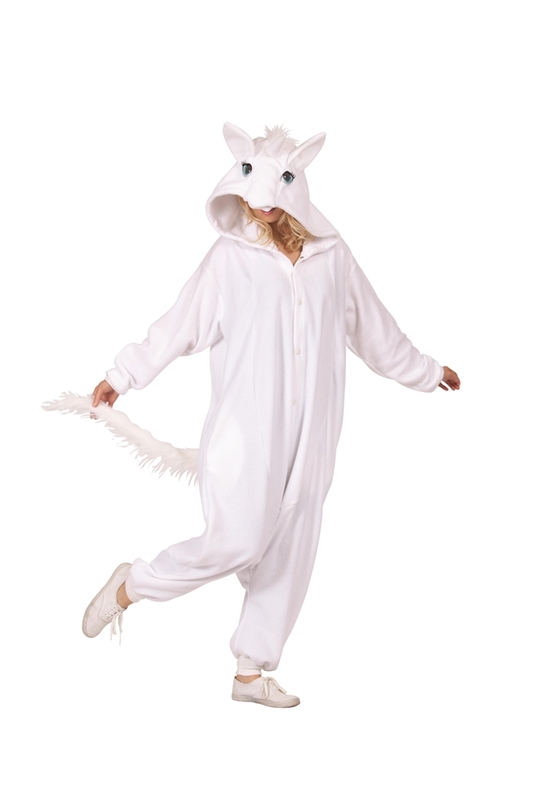 Fun, quick and easy to wear, gallop your way through Halloween in this unicorn adult funsie. Hand wash cold separately, Line dry, Do not bleach, Do not iron, Do not dry clean.